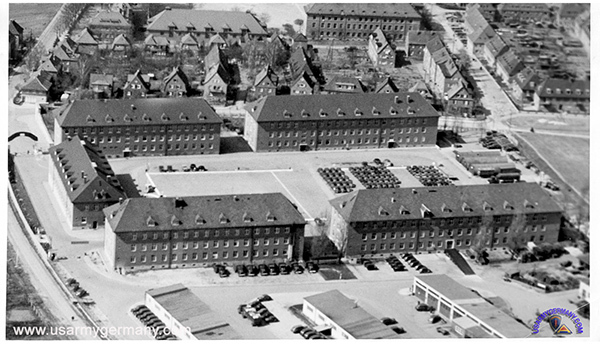 On the 1st of April 1946 a rebuild shop for US vehicles was inaugurated in the former Funkerkaserne in Esslingen. 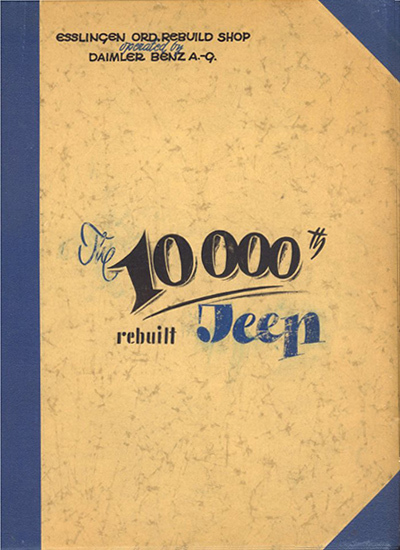 A Jeep Rebuild Shop was created which could turn out up to 20, and later up to 30, jeeps daily using industrial production methods. All matters concerning administration and production were to be handled by German specialists under the supervision of the Installation Commander. The first goal of 20 jeeps daily was reached in the month of September 1946, and the second, of 30 jeeps daily, in the month of March 1947. Not enough parts, poor quality of the evacuated items, and lack of personnel and space were the main problems with which this plant was confronted at that time. During the jeep rebuilding, in which 1,273 personnel and 78,850 sq.ft. of actual production space was available, the mission was to produce a "technically high standard vehicle" without regard to the general appearance. In July 1947 the mission of this installation was enlarged to such an extent that the vehicles were to be brought to a high standard in appearance, too. This change required new facilities and equipment. This included new equipment for paint and rust removing. In addition, larger rooms and shops had to be provided for the body and fender shops, as well as enlarged paint and drying rooms. The required facilities and equipment were built and put into production. This resulted in an over-all change of the whole production procedure. This change also affected the required production figures temporarily. In addition, the shortage of electricity, water, compressed air, and especially steam brought considerable difficulties for the washing of parts and heating of paint removing baths. The month of January 1948 showed the results of the new facilities. During this month the required 400 vehicles could be reported as produced for the first time. Up to now the production has been kept on the required level and has been enlarged with the help of 1,338 personnel. Available for production are 120,670 sq.ft. of space including supply and shop maintenance, as well as 138,690 sq.ft. of uncovered space including the motor pool parking lot. On the 28th of May 1948, a labor agreement was put into effect between the 7845th Ordnance Maintenance Group and Daimler-Benz A.G. Stuttgart-Untertürkheim for the accomplishment of technical and administrative requirements. As part of a major drawdown of rebuild assets in the US Zone due to a significant decrease in the rebuild workload theater-wide, the Esslingen Ordnance Maintenance Depot was reduced in February to a sub-branch of the Boeblingen Ord Maint Depot. The Esslingen Ordance Maintenance Plant is being phased out of operation. 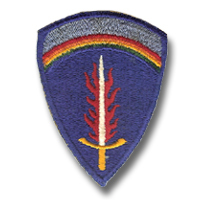 The plant has been instructed by HQ USAREUR to give final termination-of-service notices to its remaining 80 German employees. 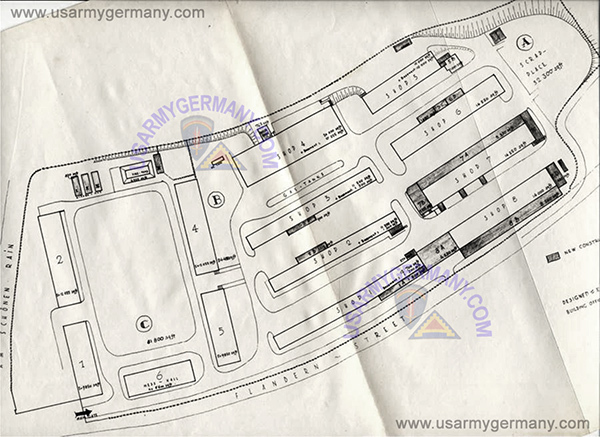 Some of the emplyees at Esslingen will be employed at the Boeblingen Ordnance Maintenance Depot.